I'm no Mary Poppins sometimes families refer to me as that, but you can call me Miss Jessica. And I am an unstoppable, playful, fair, but structured full-time Nanny in Chicago. I take great pride in my work, and in the responsibility that is given to me. Maybe that’s why 90% of the time I allow strangers to think the tiny humans (who look nothing like me) are “mine.” when they so sweetly compliment me on how well behaved my kids are. Why yes, yes, they are. Thank you. My job begins when the sun comes up! I have two dogs at home that I need to care for before I leave for work. It ends at dinnertime, and the in-between is filled with all the tea parties, play dates, classes, peanut butter and jelly and tear-filled timeouts you can think of. I wouldn’t change a thing. Through the years I have had the opportunity to work for a lot of different families. Some I’ve loved, some… not so much. Some goodbyes were painful, the kind of painful that changes your soul and some were painfully slow, so slow a turtle could win the race. Regardless, every tiny human I’ve ever had the chance to care for has left a lasting impression on me, and has taught me the magic of being a child. For the past years I’ve grown to love two kids. For the sake of this being a public blog, we’ll call them C & M. These tiny humans are full of magic. They are full of real, honest, innocent, beautiful magic, and from 8-5 they are all mine. I decided to add this series to The Petite Diaries, because whenever I go to a blogging event or talk about my career, people are so entranced about what exactly I do. Still, there are lessons still to be learned, and stories to be told. Any parent or nanny can relate, but anyone can laugh at the total madness that unfolds when your 3-year-old throws a full blown tantrum in Target over nothing, decides that painting the walls is better than the paper they asked for, or giving their sibling a haircut is a good idea! From the good stuff, to the bad stuff, to the in-between stuff…I love every minute of it, even though they’re not my kids. I hope you enjoy this series and as always I'm open to any and all suggestions! If you have a question or topic your curious about leave a comment below and I'll do my best to answer it! nice to know more about you. It is great that you take care of them like they are your own. All the best. You are perfect for this profession, gf! I can't wait to hear more about C & M! Hello there fellow Jessica. Nice to know a little about you. I have two kids (daughters) too, and we love our dog! 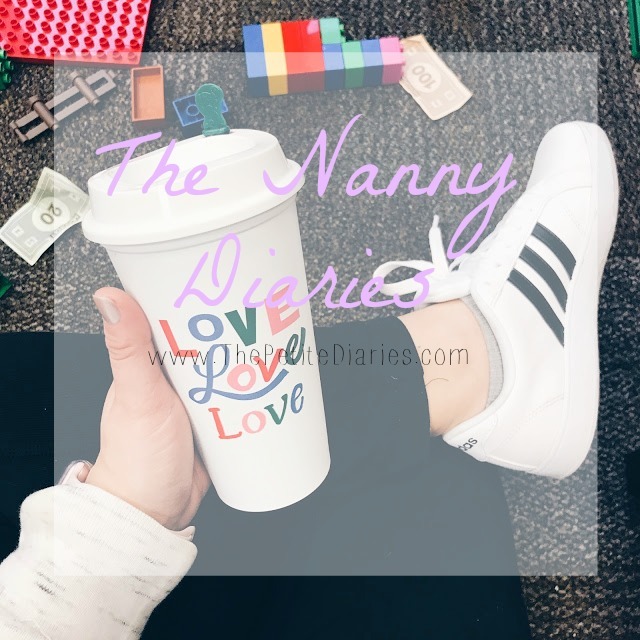 I've worked with kids a lot over the years and have been a nanny too, so this was a fun read. Great work you are doing! Love it!! I was a nanny when I was in my younger 20's and the kiddos were great. It actually gave me a very real expectation for parenting and I feel like I'm a better mom now because of it. Haha, I also had my kiddos call me "Miss Adriele."